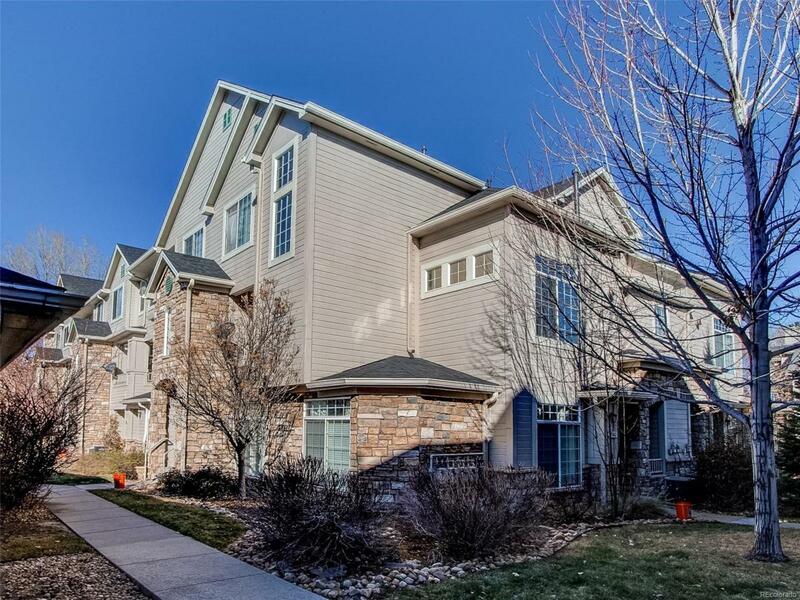 Amazing 2 bed, 3 bath, End Unit Denver condo is located in Cherry Creek School District and minutes from S. Parker Rd, I-225, shopping and restaurants. Upon entry you will be greeted by an open floor plan and an abundance of natural light. This home has a large kitchen with plenty of counter space and storage. Adjacent to the kitchen is a spacious dining area and large family room with tall vaulted ceilings, and cozy gas burning fireplace. Upstairs you will find two bedrooms. The second bedroom is a great size and features its own private bathroom . Welcome to your master bedroom with its tall vaulted ceilings, spacious layout and walk-in closet. The master bathroom features double sinks and large soaking tub. This home also comes with a private balcony, 1-car garage, 1 reserved parking space, Furnace, A/C , Washer and Dryer all replaced in 2017. Come check this great condo out. This will not last!! !